2. If you are using third-party cards or key fobs, the reader must be under UID mode. GV-AS ID Card & GV-AS ID Key Fob GV-AS ID Cards and GV-AS ID Key Fobs are ideal for business and residential environment, where access control is important for security reasons. The 13.56 MHz cards and key fobs are available. 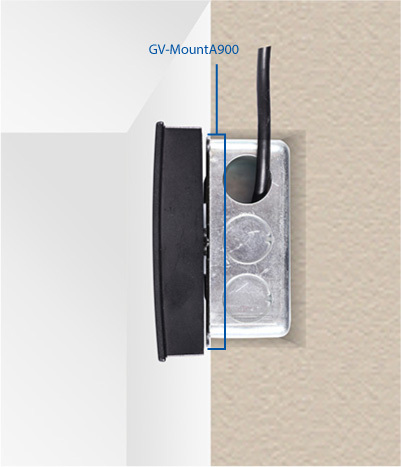 GV-MountA900 GV-MountA900 is a mounting plate that allows you to attach GV-AS110, GV-AS1110, GV-RK1352, or GV-R1352 to a US single gang power box.